A couple of years ago I went to Paris with about fifteen of my closest friends. We did all the tourist things, including the infamous picture from the top of the Eiffel Tower. At the time I was dealing with a fear of heights and claustrophobia. Between the long elevator ride and the climb up the steps to the top level, I was pretty much a mess! However, I sucked it up and stepped out onto the wide ledge so a friend could snap a shot of me towering over the Seine. If you are planning a trip to the Eiffel Tower the following link provides fascinating details in regards to its history and structure. The Eiffel Tower (French: La Tour Eiffel, [tuʁ ɛfɛl]) is an iron lattice tower located on the Champ de Mars in Paris, named after the engineer Gustave Eiffel, whose company designed and built the tower. Erected in 1889 as the entrance arch to the 1889 World’s Fair, it has become both a global cultural icon of France and one of the most recognizable structures in the world. The tower is the tallest structure in Paris and the most-visited paid monument in the world; 7.1 million people ascended it in 2011. The third level observatory’s upper platform is at 279.11 m (915.7 ft) the highest accessible to the public in the European Union. The tower received its 250 millionth visitor in 2010. Click here for more information. Did one of my characters visit Paris? The Eiffel Tower? If you want to find out, click here. I would love to follow you on Twitter. You can find me on Twitter @VickiAndree. Please let me know that you are on Twitter so I can follow you too. The winner of my June Contest was Elaine Hutson. Congratulations. I’ll be sending you a copy of my book, Lyza’s Story. I am having a giveaway June 12-19. Please like my author page on Facebook to enter. You can click on the link to the right of this article. Or you can click on this link to like my Facebook author page. The winner will receive a copy of my book, Lyza’s Story. Today is the last day of my June contest. Please like my author page on Facebook to enter. You can click on the link to the right of this article. The prize for this contest is a copy of my book Lyza’s Story. The area around Sedona abounds with hiking trails. We took the short trail named the Rock Art Trail at Palatki Ruins to see the largest collection of rock art in the Verde Valley. I’m telling you, those natives drew incredible liknesses on the walls of the caves. The Sinagua or people of the red rocks arrived in Palatki around 650 AD. For 600 years they farmed and hunted antelope and deer. 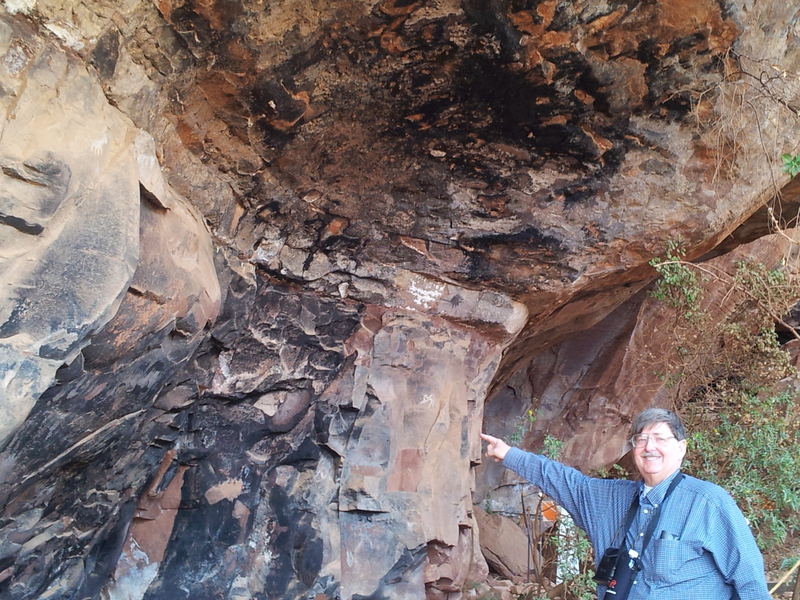 Visitors can take a guided tour of Indian ruins and an alcove with rock art and pictographs. The trail is a short easy hike of approximately 1 mile round trip to the ruins and 1/2 mile round trip to the rock art alcove. 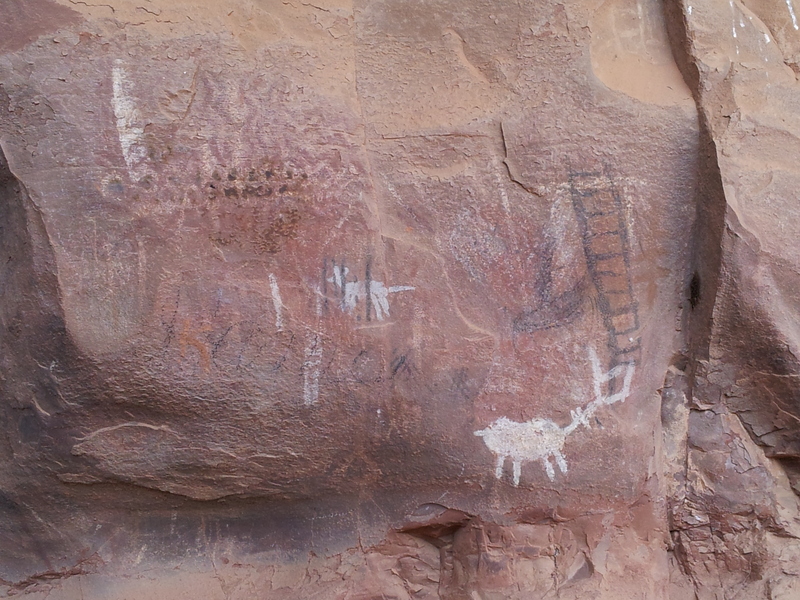 The alcove contains pictographs which are from the Sinagua and also from Archaic cultures, drawn some 6000 years ago. Click here for more information.